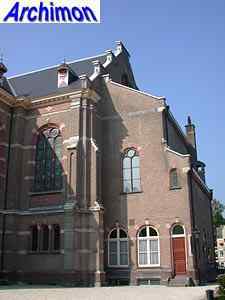 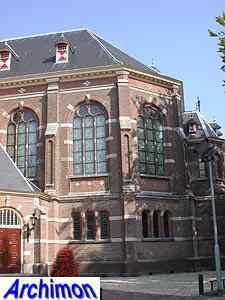 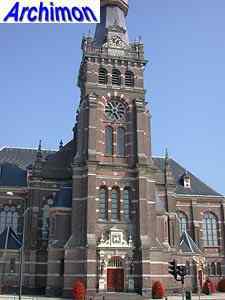 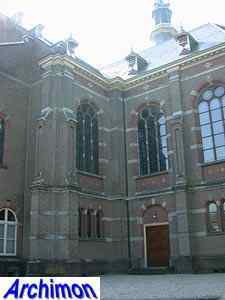 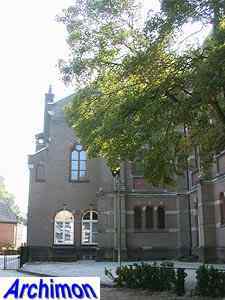 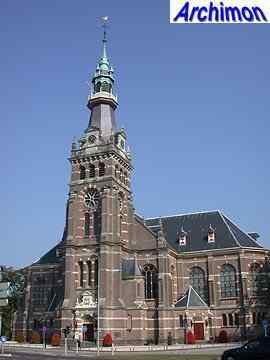 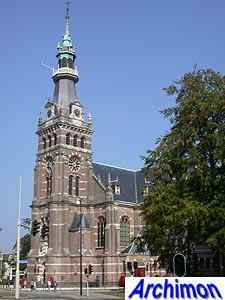 The reformed Grote Kerk is one of the most important neo-Renaissance churches in the country, if not the most important. 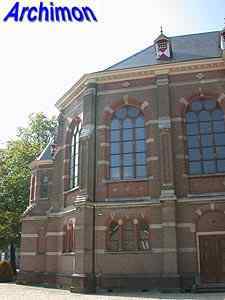 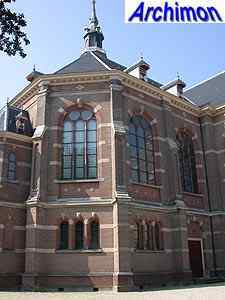 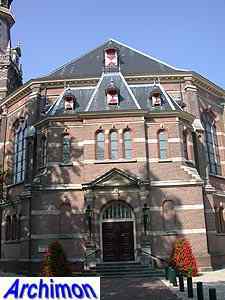 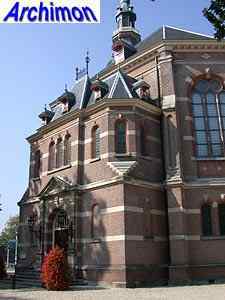 It was built on the site of a burned-down church built in 1839-184, designed by architect H. Springer and financed by king Willem I. 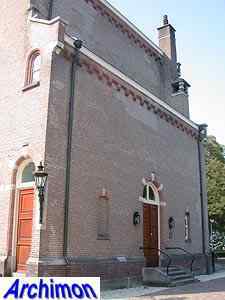 That church itself replaced the old village church, was located halfway between the old church and palace Het Loo and served as a "royal" church as well as a village church. 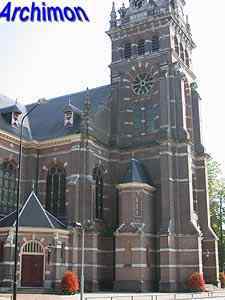 Soon after that church was destroyed in 1890, a competition was held. 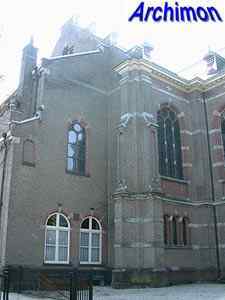 A selected group of architects was invited to send in a design. 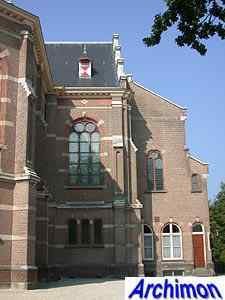 The fact that local architect Wijn was not one of the chose few caused some outrage in the village, Although the competition was won by P. du Rieu, the church counsil chose the design entered by J. Verheul instead, possibly because Du Rieu's design was too expensive to realise. 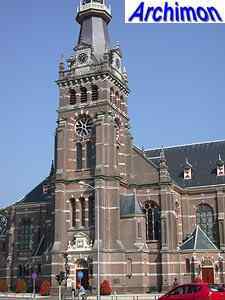 Verheul, an architect from Rotterdam, changed his design in several ways, but the essence of the design remained the same: a big centralising, cruciform building, strongly inspired by Dutch Renaissance churches of the early 17th century with a big tower. 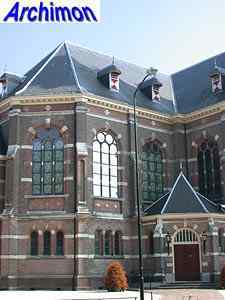 The west and east arms are long and have polygonal ends with monumental portals, while the north and south arms are short and straight. 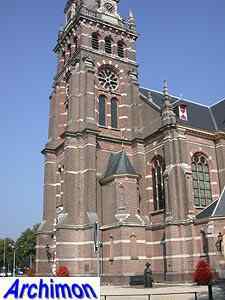 Against the southern arm stands the tower, flanked by two more portals. 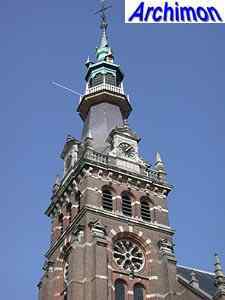 The tower is richly detailed and is crowned with a tall spire. 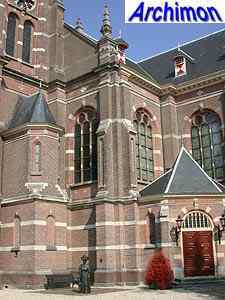 The entire church was built of bricks mostly, but horizontal layers of sandstone add some colour. 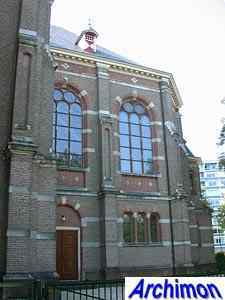 In 1973 the church was in a bad state, and plans were made to replace it by a block of flats, with a new "church" in the basement. 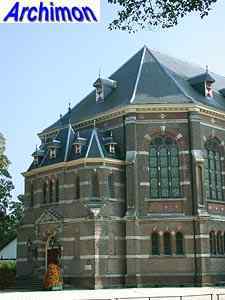 Thanks to a foundation, the church was saved and restored in 1983-1992.